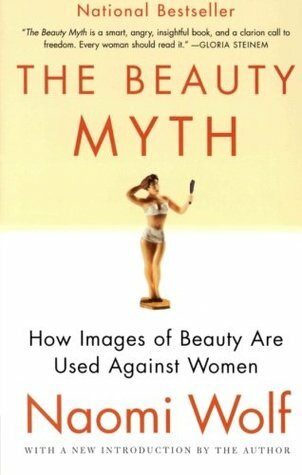 This month the chain begins with The Beauty Myth by Naomi Wolf. 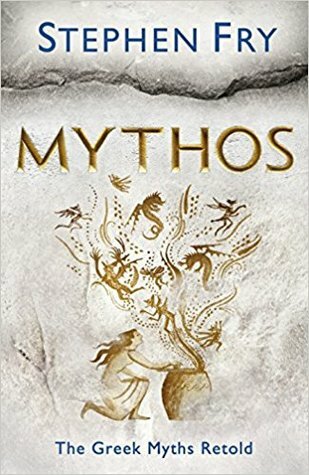 Mythos: The Greek Myths Retold by Stephen Fry, although he hasn’t included the details of the Trojan War – he begins at the beginning where the poets captured the stories told by the Greeks of their gods, monsters and heroes – but doesn’t end at the end. Jane Westwell’s novel, Tantalus is the story of two lovers are separated not by barriers of race, class or creed, but by something much more devastating – by time. They can see and can talk to each other but can never touch. Theirs is an impossible love as each is trapped in their own time and space. Margaret Atwood’s The Penelopiad: The Myth of Penelope and Odysseus, described by Mary Beard in the Guardian as ‘exploring the very nature of mythic story-telling.’ This is one of the Canongate Myth series of books – retelling Homer’s account in the Odyssey. It also links to Helen of Troy as she is Penelope’s cousin. 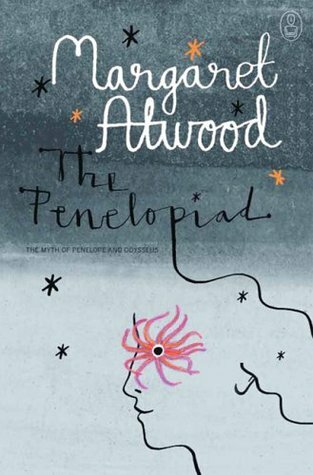 Atwood’s version explores what Penelope was really up to whilst Odysseus was away for twenty years. 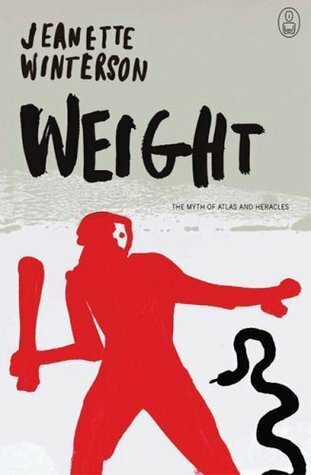 Weight: the Myth of Atlas and Heracles by Jeanette Winterson. Atlas, the guardian of the Garden of Hesperides and its golden apples, leads a rebellion against the Olympian gods and incurs divine wrath. For this the gods force him to bear the weight of the earth and the heavens for eternity. When Heracles, for one of his twelve labours, seeks to steal the golden apples he offers to shoulder the world temporarily if Atlas will bring him the fruit. 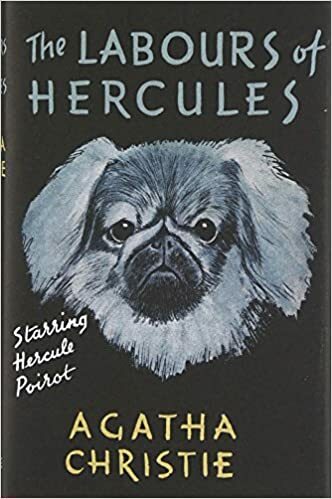 The Labours of Hercules by Agatha Christie is a collection of 12 short stories featuring Hercule Poirot, first published in 1947. The stories were all first published in periodicals between 1939 and 1947. Poirot has set himself the task of solving twelve cases corresponding to the Twelve Labours of Hercules, including The Apples of the Hesperides, in which Poirot’s apples are emeralds on a tree around which a dragon is coiled, on a missing Italian renaissance goblet. It seems that Poirot may have to go on a world tour to investigate locations in five different parts of the globe in order to retrieve the goblet. My chain this month has the same link running through the book – that of myths. 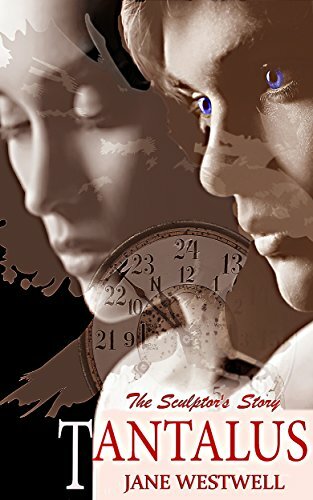 From the modern obsession with beauty back to ancient myths and their modern versions and ending with a collection of short stories of crime fiction based on the Greek myths. Next month (April 7, 2018), we’ll begin with Arthur Golden’s bestseller, Memoirs of A Geisha. 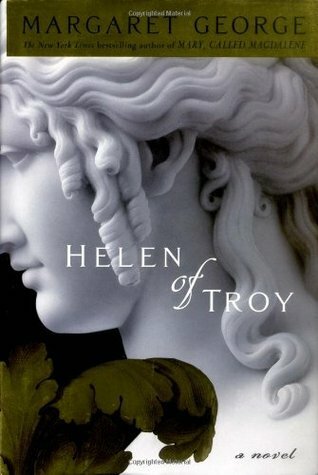 I really must get round to reading Helen of Troy – but it is such a long book! This is so clever, Margaret, to use mythology to link all of these together. And the books really are different to each other, which makes it all the more clever. Well done! Thanks, Margot! I liked the idea of one main theme, but using different myths and genres. Oh, I liked this very much. Mythology all the way through. I did use mythology too, but went the Norse route and then back around. I’ve never seen that Christie cover – funny! Mary Beard’s programme is not on here until next Friday – we watched Simon Schama’s on Friday. I like Mary Beard but I do agree that her delivery style is intense – so enthusiastic all the time. There have been many negative comments about her episodes. Some are just unfair (comments about her hair etc) but many are about her content lacking cohesion. I was pleased to include a crime fiction book in with all the mythology. It’s funny, I wondered if you would include the Agatha Christie I read a year or two ago and there it was at the end. Excellent links and will follow up on a few later as they sound interesting. Do read it – but be warned it has no contents list and no index, which irritates me. It needs both. Maybe Robert Graves’ book on the Greek Myths would suit me more. I love the mythological theme running through your chain! I’ve only read the Agatha Christie but I would like to read some of the others, especially The Penelopiad and Helen of Troy. The first link in my chain was a Trojan War book too, but I went in a very different direction after that. Thanks, Helen. Atwood’s book is good. I haven’t read Helen of Troy – yet – its length has been putting me off. I’ve enjoyed the ‘mythical’ path some bloggers have taken this month – it’s funny because I didn’t even think of that! Like the ‘myths’ connection you took – I didn’t think about it at all, so I admire all those who took that path! I must come over and see your chain. I like the variety in all the chains. I love this myth-themed chain, Margaret! It’s a very clever twist and there are many titles here I’ll have to check out.